Putting waste to good use | Are we still clutching at straws when it comes to beating plastic pollution? Are we still clutching at straws when it comes to beating plastic pollution? I have just come back from two weeks in Cyprus where I have been trying to ‘down tools’ and relax after what has been a hectic few months in our sector. But it was harder than ever to switch off, what with social media being omnipresent these days (my fault for turning my phone on – I know!) and with the surprising number of signs and posters on almost every bar in Paphos reminding customers that plastic straws can harm marine wildlife and birds. This is good news and not something I would have expected to see 12 months ago when on my last summer break. It shows the real progress that has been made with getting environmental (and waste issues) into the public domain, and is a manifestation of the Blue Planet II message in places where Brits will be holidaying and visiting this summer. Yet I couldn’t help but feel that this was perhaps missing the point a little. Should the focus be on straws, or more widely on single use plastics, or consumer behaviour in general? So, although I had a good holiday with plenty of family time in the pool, I was troubled by the obvious fixation on plastic straws (and there was no obvious alternative for those holidaymakers that need one), when bigger issues are really at play, and need more careful attention. Thankfully social media did its job and ensured I was fully briefed on all the big news items happening back home, and by that I don’t mean another Boris Johnson faux pas or the lack of Tottenham Hotspur signings in the transfer window. In recent weeks we have seen water being sold in aluminium cans launched by Tesco (the CanO Water brand) as a means of reducing plastic consumption. 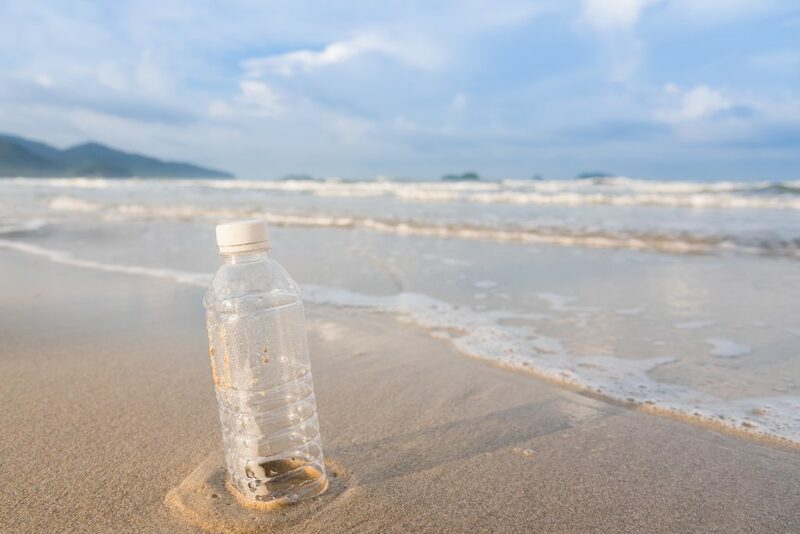 A number of major retailers, manufacturers and leading brands have come out in support of reducing plastics packaging and in some cases switching to biodegradable or compostable packaging, but is this switch away from plastic really the answer? The plastic straw example is just the tip of the iceberg in the war against plastics, both single-use and other types, but we should not forget that plastic packaging provides a valuable and useful service in terms of food and drink protection and life extension. In many cases, the public backlash, media frenzy, and the reaction of some leading brands against plastics may actually not be in the interests of our resources and environment. Knee-jerk reactions are seldom accurate or effective in delivering desired outcomes so let’s not all rush to buy water in a can just because it is more recyclable or to join the compostable packaging bandwagon. These may not deliver the long-term solutions we desire. Is more aluminium really the answer and do you want to buy packaging that might be collected with your food or garden wastes for treatment? I am not sure this is what the public want, or that they really understand the issues at hand, other than plastic bottles on beaches in South East Asia are wrong and they want to do something about it. Given the hot weather of the last two months, the consumption of drinks in bottles and cans has no doubt reached some kind of record level, and these materials should find their way back through the recycling system to the remanufacturers to close their loop and put them back to productive use. It is leakage from our inefficient waste management system that is the real problem and that needs to be addressed. Consumption ‘on the go’ can result in significant littering and loss of quality recyclables in litter bins. Choices in the home can see some materials being lost to the residual bin, or contamination will taint target packaging. Some non-target materials are put out for recycling ‘in hope’ or naivety, all of which reduce the materials available to be recycled. Plus, our MRFs cannot deliver 100% capture rates, none of them can. So by the time these target materials head back to the manufacturers they may be up to 50% down in volume and 10% down on quality, if not worse. So will switching to alternative containers change this, or do we need a better system in the first place, one that limits contamination, increases capture rates and ensures systems are adequately funded? First and foremost, we all need to make better consumer decisions, and through the OPRL labelling scheme the public has the chance to see how recyclable a container is – which might influence their consumer behaviours. I would suggest that in the future we could go further with on-pack labelling so that it reflects the recycled content, the ease of recyclability and environmental impact of a container. This would enable even more informed decisions in the shop which will send messages back to the retailers and manufacturers about what the market wants and expects. We should expect to see higher recycled content in all packaging in the coming years and a visible selection aid on the containers. This will drive more consistency in the containers on the market and enable better sorting at the kerbside or at the MRF in due course. But are we still missing the point? So why did the LGA think that now was a good time to recycle the old news story that only one third of household plastics are recycled? This was neither news, nor helpful in my opinion, and some of the data was flawed. I understand that local authorities are feeling threatened by proposed changes to the English waste management targets, priorities and funding, and for years they have been picking up the costs of the system whilst ‘producers’ through the PRN system have picked up only 10-15% of the system costs. But is this really helping to move us forward now, given the on-going discussions that the Treasury and Defra have been having with the entire value chain, local authorities included? Thankfully, they did touch on the real issue which is the need for better packaging design, and the potential banning of low grade plastics like black trays which inhibit the recycling of other plastics – although banning may not be necessary if financial penalties are used on hard to recycle items. But the mainstream media coverage has done little in my opinion other than to undermine consumer recycling efforts and to highlight a problem that is well under investigation and where I am seeing a lot of good progress. Black tubs and trays have been investigated, with some companies already rolling out alternatives, while the costs of updating sorting plants has also been looked at closely by the likes of WRAP. Producers accept that they need to play a bigger role in capturing and recycling plastic packaging, and with the upcoming Resources and Waste Strategy, we expect a much stronger Producer Responsibility Framework to underpin the harvesting systems needed to capture all target packaging materials. Rather than stirring up a hornet’s nest, would it not have been better to join the on-going discussions with Defra (and the value chain) to look at how any new system could be designed to get the big outcomes delivered with the least transitional pain? I am confident that the new Resources and Waste Strategy will not only facilitate the value chain to collaborate to keep high quality recyclables alive and recirculating in our economy, but will also disincentive poor quality packaging and hard to recover packaging. Funding for harvesting will come from the producers and local authorities will not have to cover the costs of the system as they have done to date. In the coming weeks my colleagues and I will be sharing our thoughts on what a new EPR system might look like, and how it could work more collaboratively through the value chain, and to explore what the role and remit of local authorities might be in this new system. We will be joined by a host of local authorities and their trade bodies including NAWDO, ADEPT, LARAC and the LGA, and will share the output of these workshops in early September. This will help fuel the debate further about what EPR reform must look like ahead of the Defra Resources and Waste Strategy which is expected by Christmas 2018. We will also share some of our wider thinking on the planned strategy and headlines from our sector and value chain engagements in upcoming conferences and events, including a key note presentation at RWM at the NEC, so make sure you pop along. I hope over the next three or four months we can stop debating peripheral issues like plastic straws and instead get stuck into the real reforms that are needed. These include EPR, funding our collection and harvesting systems and developing a strategy with bold ambition and clarity of delivery plan. Once we have this in place, consumer facing engagement is essential. But let’s not have a media debate now about compostable and degradable packaging and the relative merits of water in a can. Instead, let’s focus on bringing all the key stakeholders together to ensure the right legislative framework, policy agenda and funding system are in place to give us a world class resources and waste management system. A system we can all be proud of, and one that I won’t mind discussing with other guests at my resort when on holiday next summer in Majorca – only 12 months to go. This blog was originally published on http://www.recyclingwasteworld.co.uk on 13 August 2018.